A tripod with a video camera on a stair landing, while packing for a family holiday earlier this month was a bit in the way, it has to be said. Capturing video footage was a distraction to the job in hand too, but the amusing view out of the stair window kept catching my attention. 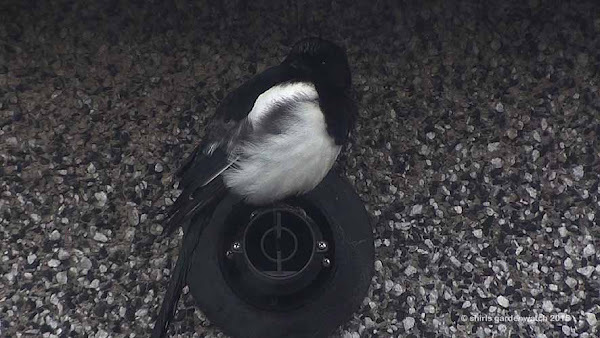 The rain was heavy (much heavier than the video below has shown) and a soaking wet, young Magpie was clearly showing why this corvid species are regarded as highly intelligent birds. It found my neighbour's warm, central heating vent tucked under the overhanging house eaves and sheltered out of the rain! 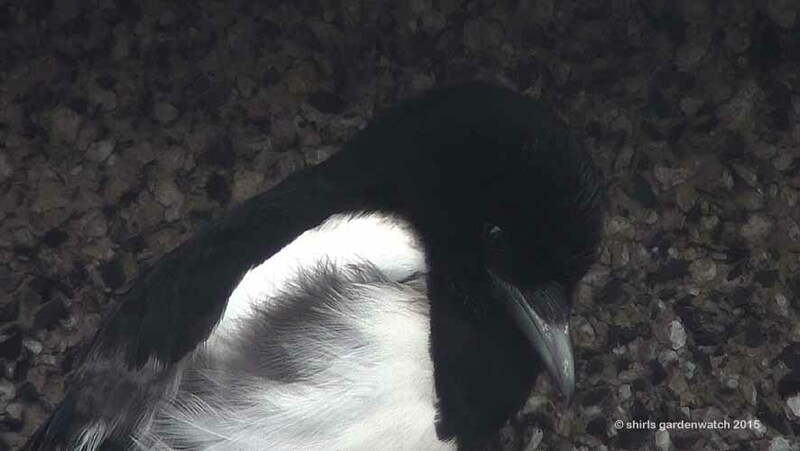 2x clips, 57 secs, no background music, note the closing eyelids of this bird. Such a handsome bird too. We see them doing the exact same. They don't take long to learn, do they?